With a varied landscape, from magnificent mountain ranges to arid deserts, rivers and waterfalls to forests and tablelands, this South Asian country is rife with numerous terrains for trekking, all leading to jaw-dropping vistas and beauty like no other. Culture Trip throws the spotlight on some of the most challenging treks in India that are worth a visit. 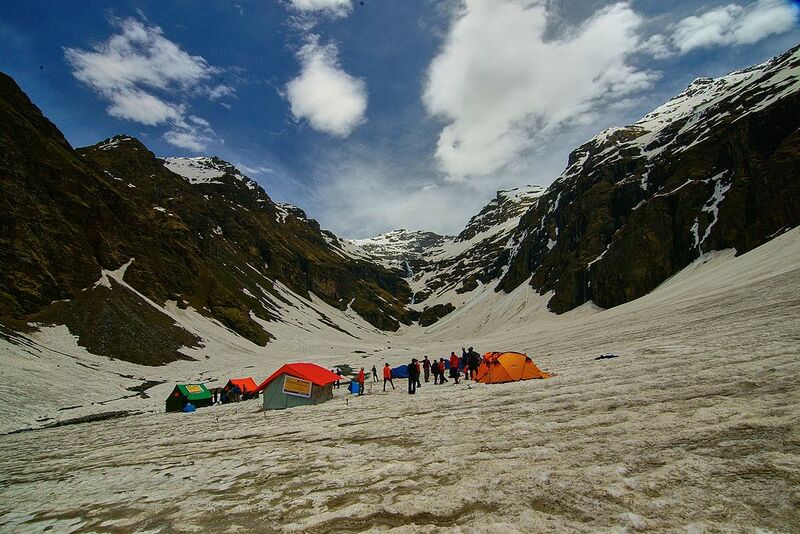 Said to be one of the most dangerous treks, the Auden’s Col in the Garhwal region of the Himalayas, is settled at a height of 5,490 meters (18011.8 feet) above sea level, connecting the Jogin I and Gangotri III ranges. 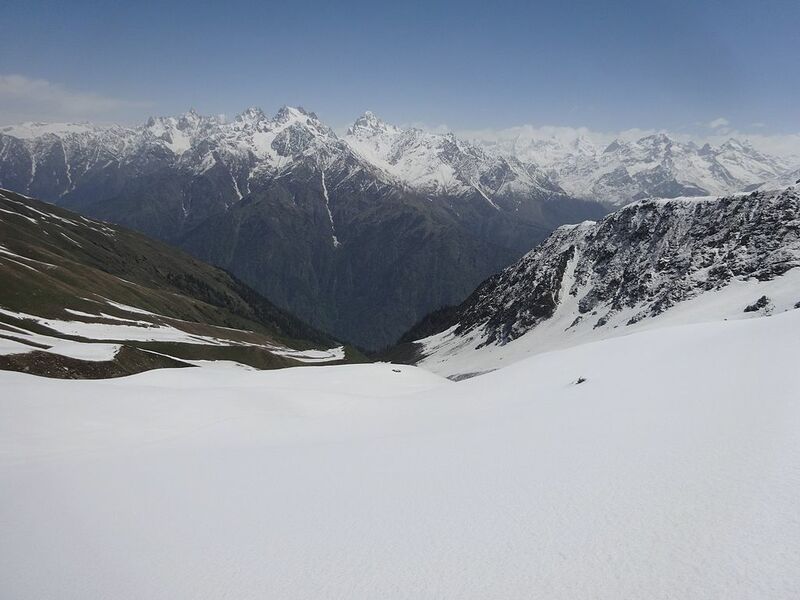 The trek begins from Gangotri, passing through the Auden’s Col, and venturing into the treacherous Khatling Glacier that shoots up 4,200 meters (13779.5 feet). Crossing the glacial debris leads you to Bhilangna River, which is shrouded in lush greenery and further into the forest and scenic villages. The steep cliffs, huge glaciers, rock-strewn terrain, thick forests of birch and pine, green meadows and gushing streams ensures that it’s a challenging trek. And, sudden fissures occur at times, hence the added risk. The trek takes around 13-14 days to complete but it’s worth it as you won’t be disappointed with the breathtaking scenery of snow-laden Himalayan ranges and of course, the majestic Auden’s Col. Be warned: it shouldn’t be attempted by novices or people with a low fitness level. Set at an altitude of 3,900 meters (12795. 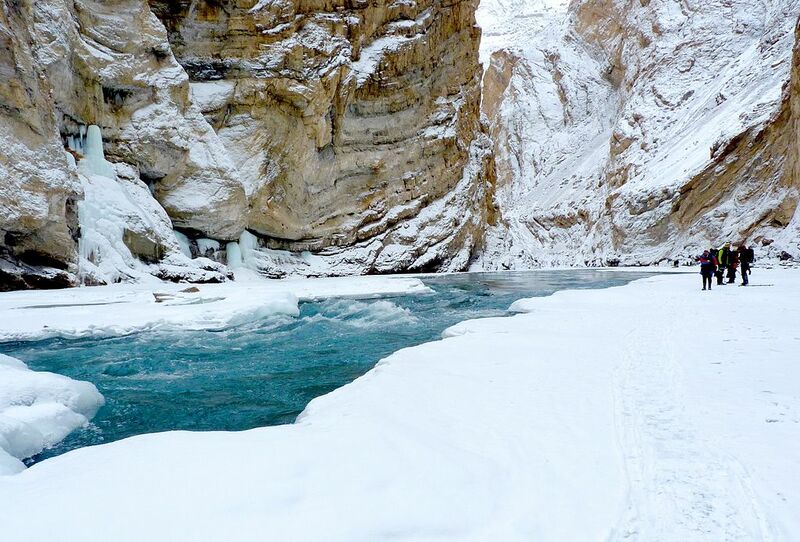 2 feet) above sea level, the Chadar Trek is full of physical challenges. The 65-mile route follows through the frozen Zanskar River that is enveloped in a sheet of ice and confined within a sharp 600 meter high gorge. This trek has a sub-zero temperature, frozen river, hefty elevation, icy track, bitterly cold water underfoot and a massive amount of slipperiness, hence the added challenge. But the reward is the picturesque views of the Shanti Stupa and frozen river along the way, and the beautiful stories of the inhabitants of the Zanskar village. The beauty of this trek is its icy path, which changes colour on the Zanskar River every few hours. To walk the length of the ice sheets takes around six days, with the base point as Leh. Amidst the stunning scenery of mountain ranges, verdant forests and a bunch of wild flowers, the Pin Parvati Pass is settled at a dizzying elevation of 5,320 meters (17,457 feet). It includes rugged terrain, steep slopes and bone-chillingly cold weather, and the massive snow fall is the biggest danger. However, the reward is immense beauty, bird’s eye view of the Pin valley and the Parvati valley, and a sense of thrill and accomplishment. The base point is Manikaran, which paves its path through the Pravati River and terminates at the Pin Parvati Valley, also known as the ‘Valley of Gods’. Scaling this summit takes around 12 days and only seasoned trekkers should attempt it. With a hefty elevation of 6,153 meters (20187 feet), the Stok Kangri Trek is the highest trekking summit and demands acclimatization to such a mighty elevation. This trek involves precarious slopes, dry and arid terrain, frozen glaciers, rivers with extremely high current and oxygen deficiency, making it exceedingly challenging and dangerous. 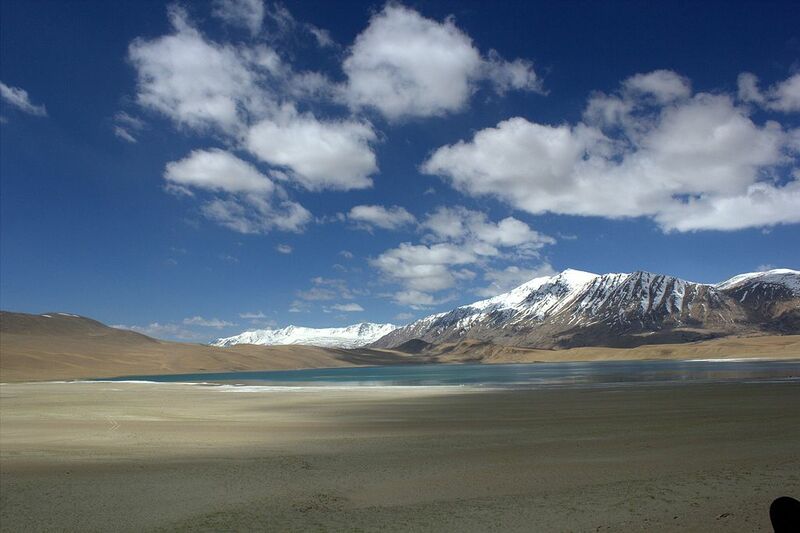 The base point is Leh and takes around three to six days, depending upon acclimatization. This trek requires the highest fitness level. For many, this is the most beautiful and romantic trek amidst mountains – passing through massive green meadows, rhododendron forests and the tranquil azure waters of the Samiti Lake. The route starts from Yuksom, at an elevation of 5,643 meters (18513.7 feet), passing through Bhakim, Tshoka, Dzongri, Thansing, Lamuney and Goechala; the temperature beyond Thansing goes below negative. The spectacular sight of the peaks, including Kanchenjunga, and breathtakingly beautiful vistas of sunrise and sundown add to the rich experience. It takes around 10 days to complete. 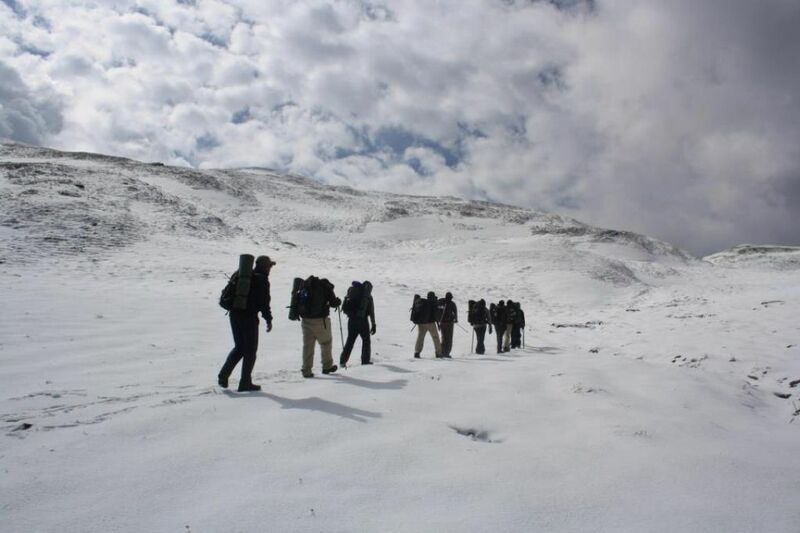 This trek leads to the skeleton lake of Roopkund, the mysterious lake with hundreds of human skeletons. Ascending 4,785 meters (15,700 feet), the path involves climbing over the snow, passing through the forests, meadows and gurgling streams. Hailstorms (a sudden occurrence, though) makes this route a bit risky, but the sheer beauty and scenic views make this trek an unforgettable one. The base point is Lohajung and takes around eight days to complete. This trail is accessible to all experience levels. At an altitude of 4,650 meters (15255.9 feet) above sea level, the Rupin Pass is one of the most scenic trekking trails in India. The trek begins from Dhaula and culminates at Sangla, taking you past glacial meadows, coniferous forests, alluring waterfalls, unusual rock formations and swaying wooden bridges. One of the strange things about this trail is it’s carved out of stones and rock faces. Scree, snow and muddy patches are part of the trail. It takes about eight days to complete this trek and can be undertaken by all experience levels. First things first: You require special permission from the Indian government for this trek, owing to its remote nature. At an altitude of 5,284 meters (17335.9 feet) above sea level, the Lamkhaga Pass is a secluded trail that segues from the remote regions of Uttarakhand and Himachal Pradesh. Gushing streams, precarious snow-laden paths, boulders, cascading waterfalls, scenic alpine meadows and forest define this trail. Furthermore, you can even spot the Himalayan wildlife, including mountain crow, snow fox and ibex. Quite a few trekkers rate this as one of the most dangerous trails amidst the mountain treks in the country. The Nanda Devi Base Camp is an isolated trans-Himalayan hike, blessed with unspoiled beauty and glorious vista of the majestic Himalayas in the backdrop. It’s a circular trek that has varying difficulty levels, easy at the start at Munsiyari and gradually getting tougher with huge amounts of slipperiness adding to the risk. 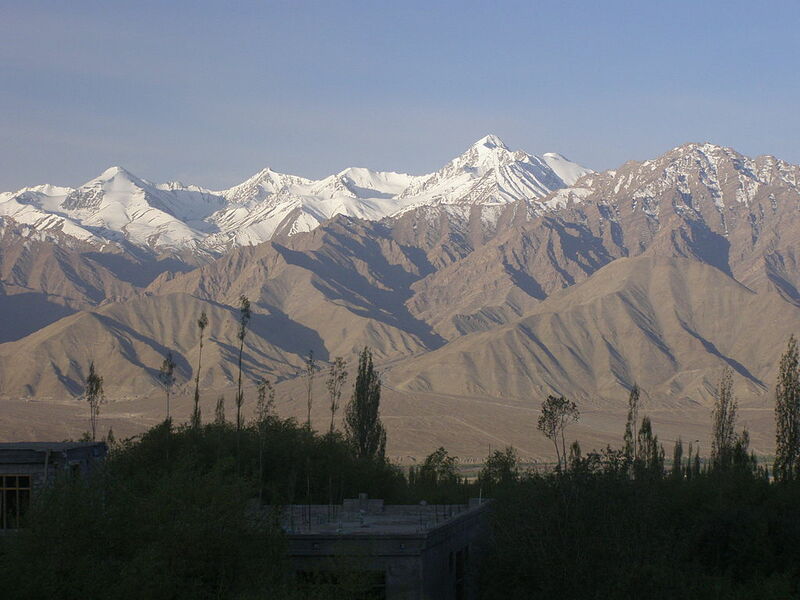 Make sure to stay at Munsiyari for a day or two to acclimatize for the trek. It takes about 12 days to complete the trek. At an elevation of 4,100 meters (13451.4 feet) above sea level, this trek lies in the land of high passes and takes you through the snow-laden Hemis National Park that is blessed with the most endangered species, and you can spot snow leopard (there are over 200 at this park), Eurasian brown bear, Great Tibetan sheep, red fox, Tibetan wolf and more. The majestic landscape, abundant wildlife, serenity and picturesque natural beauty are the highlights of this arduous trek that starts from Leh, crossing Hemis National Park and Zinghen, and ends at Leh. It takes around 13 days to do this trek and the sub-zero temperature ranging from -5 degrees Celsius to -10 degrees Celsius, make it a challenge.